In case you haven’t heard, for the next month more than 60 authors who write about Michigan and the U.P. will visit more than 20 U.P. communities. I’ll be participating in several of the events. “Upper Michigan has long deserved wider attention for its diverse and rich culture and atmosphere,” Tichelaar said. “Everything exists here to make great fiction, from its history, to its powerful forces of nature, its isolation from the rest of the country, and the strength of its people. 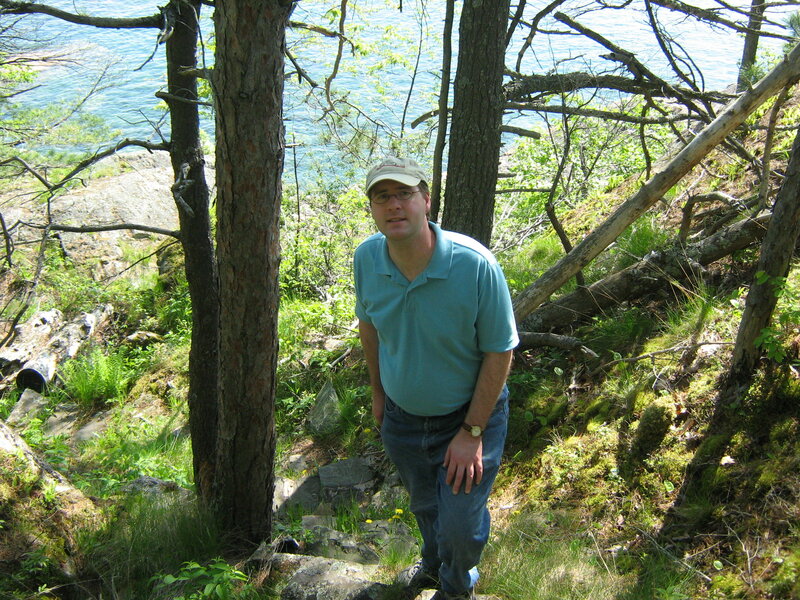 I wish to support all efforts to treat it as literature….As an author of Upper Michigan literature, I welcome fresh voices and differing points of view about the influence this area has upon people and how that influence is shaped into literature. Ron Riekki, author of “U.P.” is the organizer of the book tour which will include Lisa Cerasoli Weaver, Matthew Gavin Frank, Beverly Matherne, Jerry Harju, Marty Achatz, Jonathan Johnson, Gretchen Preston, John Carr, Steve Hamilton, Roxanne Gay, Darrin Doyle, Jane Piirto, and numerous other Michigan and U.P. Authors. 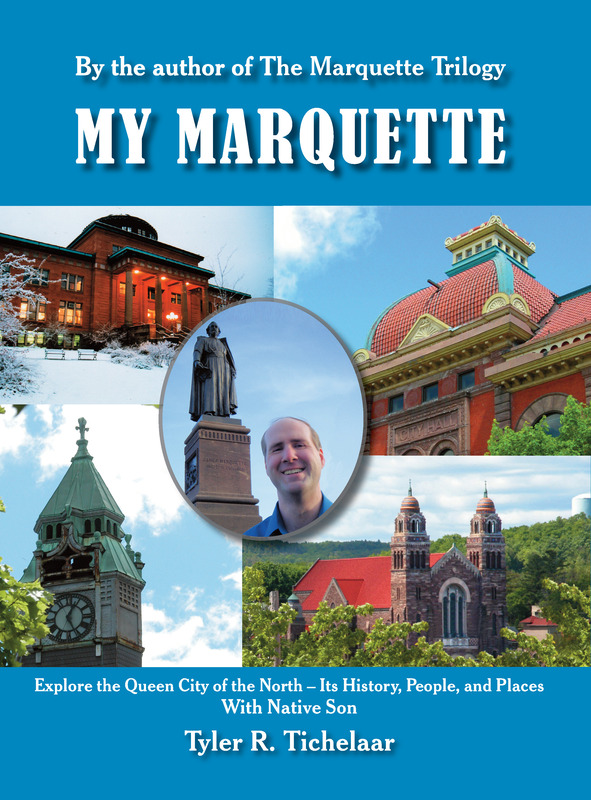 Book signings and author panels discussing Upper Michigan literature will be held in such diverse places as Marquette, Negaunee, St. Ignace, Houghton, Menominee, Palmer, and Gwinn. 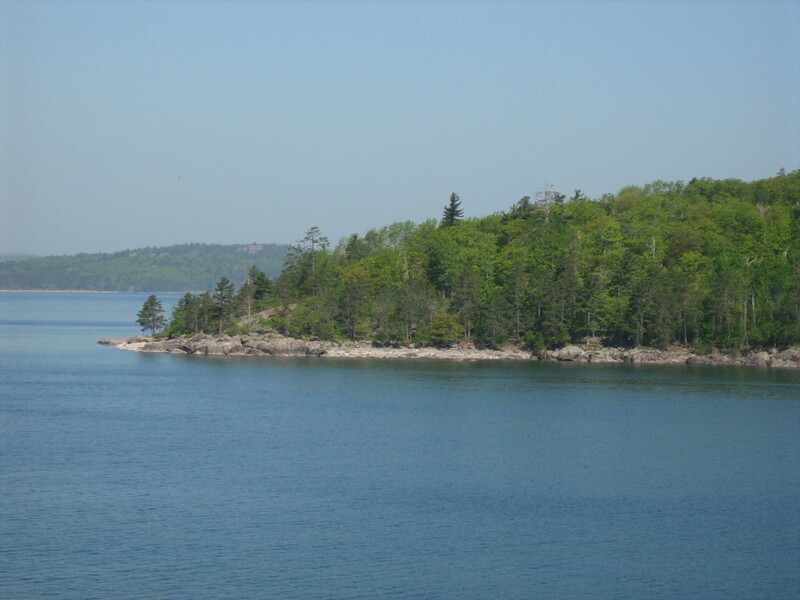 The U.P. Book Tour is the biggest literary event ever to come to Upper Michigan. Come out and support Upper Michigan literature. After all, what better place to write about? 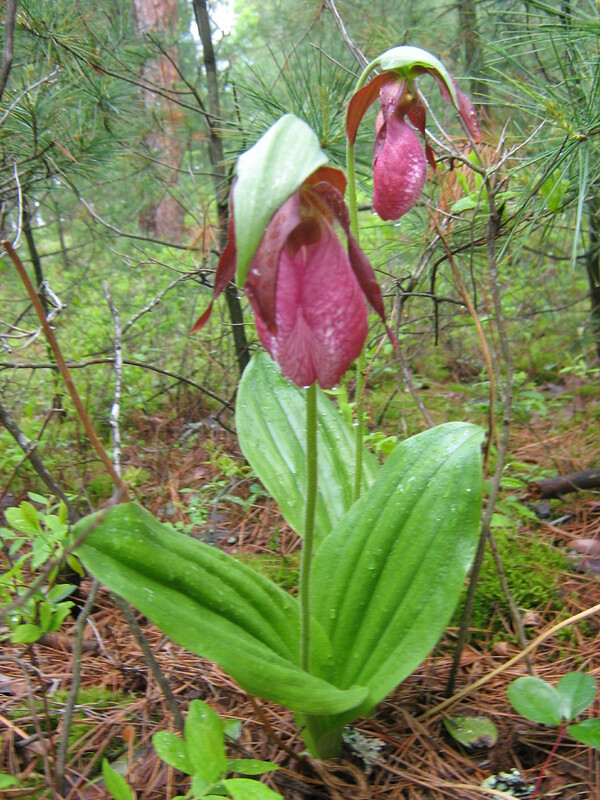 It’s Lady’s Slipper season in Upper Michigan, and thanks to some of my Facebook friends, I heard my favorite wildflower was in bloom around Little Presque Isle near Marquette and set out on a rainy day to get photographs. 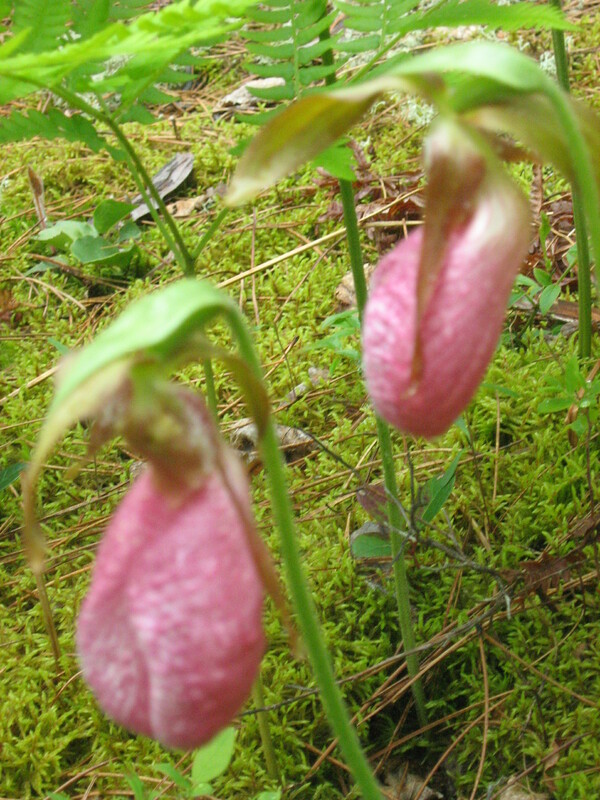 I plan to have a photo of lady’s slippers on the front cover of my next novel, Spirit of the North, which will be published in Spring 2012. 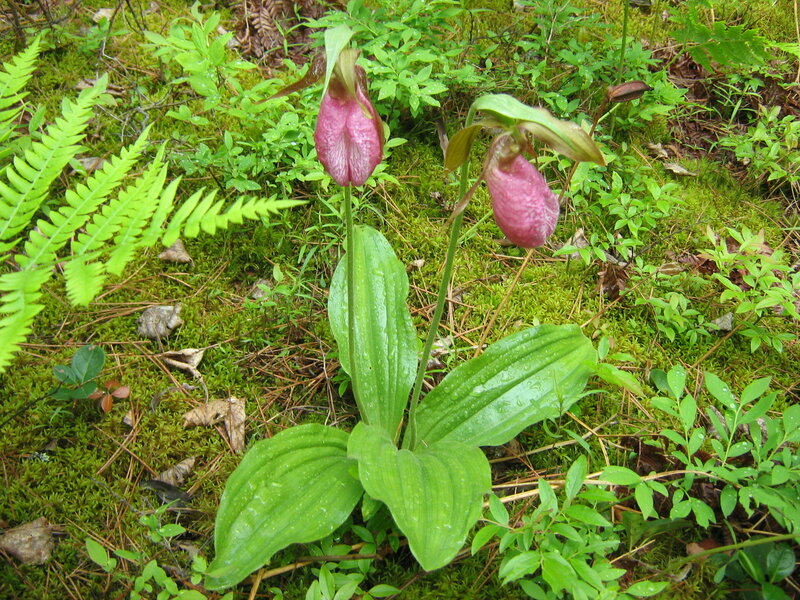 In the novel, there is a pivotal scene around lady’s slippers. 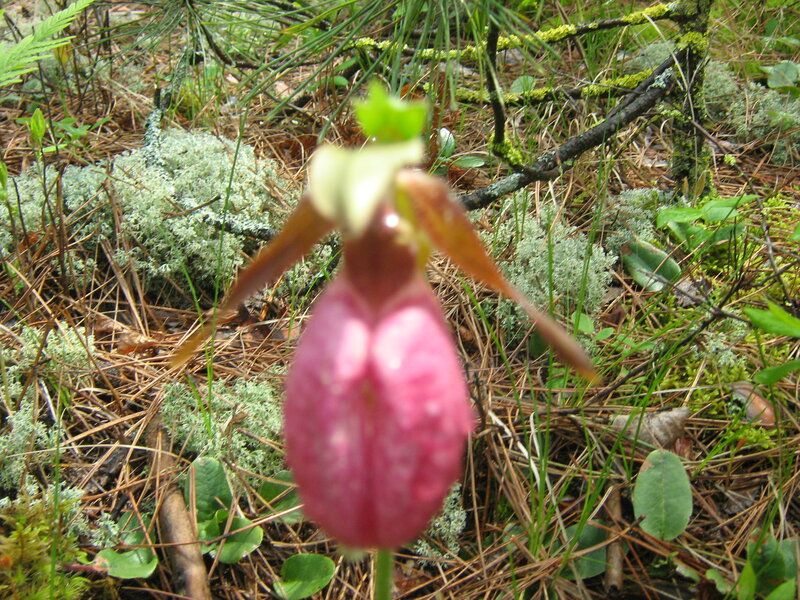 In fact, lady’s slippers have been my favorite flower since I was a child growing up in Stonegate near the Crossroads where the flowers grew profusely in the woods. Even back then in the 1970s, they were illegal to pick, but we picked them all the time anyway. I don’t recommend anyone doing so now since they appear to be more rare than they were back then, although by looking hard, I easily spotted about 100 of them, growing in groups of 1 and 2, but I remember them often growing in much larger clumps when I was younger. I was more respectful when I went out to photograph them this past week, and I swear they knew I was there, admiring them and they were ready for their photo-shoot. I think because of their shape they look almost like they have faces and their own personalities. You can decide for yourself. I did not neglect to mention Lady’s Slippers in some of my other novels, so I offer here a scene from my novel Superior Heritage in which young John Vandelaare, who is only about six years old, goes fishing with his brother and older cousins at Ives Lake where his grandfather is the caretaker, and on the way back, they stumble on a field of Lady’s Slippers. They were all a bit tired now from the long day, and less talkative than they had been on the way to the fishing hole. They walked with a bit of urgency because they knew it would soon be nightfall, and the forest’s thick trees would block out the remaining light. Then, as the beautiful summer evening ended, they stumbled upon a little copse, almost a meadow really, where sunbeams broke through the trees, illuminating a small patch of the forest floor. All turned their heads to see the meadow packed with the little pink flowers that looked like fairy slippers hanging from their stems. “How’d we miss seeing all those before?” asked Alan. “I saw them,” said William, who had not thought flowers worth mentioning. Chad struggled to get out of the wagon. “Where are you going?” Jason asked him. “To pick some for Gwamma and Aunt Ada,” was Chad’s obvious answer. “Hey, ain’t these flowers the kind that are illegal to pick?” asked Jason. “Why would flowers be illegal to pick?” asked Alan. “Because they’re rare,” said William. “Let’s pick them all,” said Chad. “We can give some to Gwamma, and Aunt Ada, and some to my mom and some to your mom.” He felt overcome by a desire to give all the women pretty flowers until they would all feel as beautiful as Princess Ada. “It’s almost dark,” said William. “Mom’s not going to cheer up until Dad quits being a jerk,” William muttered; as the oldest, he was burdened with understanding his parents’ marriage better than his brothers. “Aunt Beth will give us vases, or at least plastic bags to wrap them in,” said Alan. While his cousins debated, John joined his brother in gathering flowers. William refused to pick any—he was too old for flower picking, even to make his mother happy. But Alan did not mind pleasing his younger cousins by joining in. Chad’s little hands filled too quickly, so he enlisted Jason in carrying his flowers to the wagon for him. 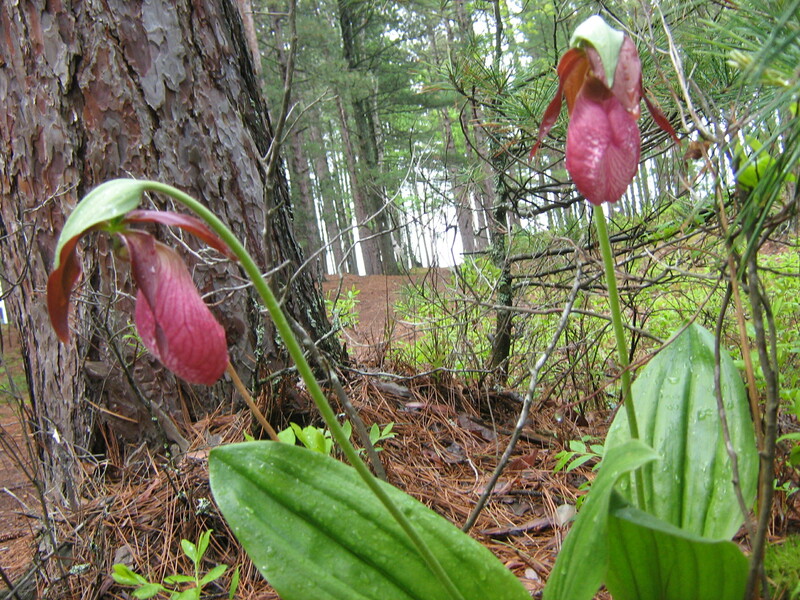 Meanwhile, Alan picked ferns to make backgrounds so the bouquets of lady’s slippers would look even prettier in vases. In ten minutes, the meadow was cleared. Heaps of delicate pink air pockets of flowers were gently laid in the wagon. Chad did not object when told he would have to walk home so his feet did not crush the flowers. He thought it nicer to walk beside the wagon and look at the pretty flowers. 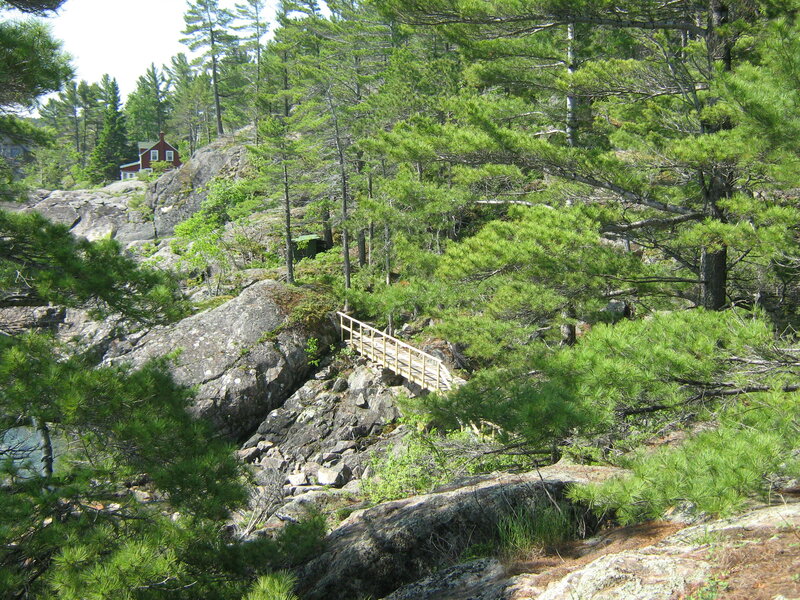 The boys started back down the path. John looked back to where the flowers had been. He remembered just minutes before how stunned they had all been by the flowers—how there had been a seemingly endless field of pink rising up from the decaying leaves of last autumn. Now, he only saw the decaying leaves and little broken stems sticking up where once the flowers had been. The evening sun had lowered as well, leaving the field almost dark. Already he was starting to strain his eyes to see ahead of him. He wished they had not picked all the flowers; then he could have come back tomorrow night to see the pink field again. “I hope the DNR doesn’t catch us,” said William. “What’s the DNR?” asked Alan. John was frightened by the thought of jail. But he felt it would serve them right if the DNR did catch them. It seemed wrong to have picked all the flowers. They had not left behind a single one. He felt the trees would be lonely and sad without the lady’s slippers. When the boys got back to the house, Ada and Beth marveled at so many delicate flowers. 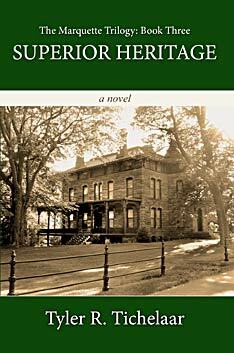 Beth quickly found more empty coke bottles to serve as vases so Ada could go home with a bouquet, and the Whitman boys could bring another home for their mother. “Thanks for having me, Beth,” Ada said, as she picked up her vase and kissed her sister-in-law goodbye. “Any time, Ada,” said Beth. “We wish you’d come to visit more often,” said Henry. 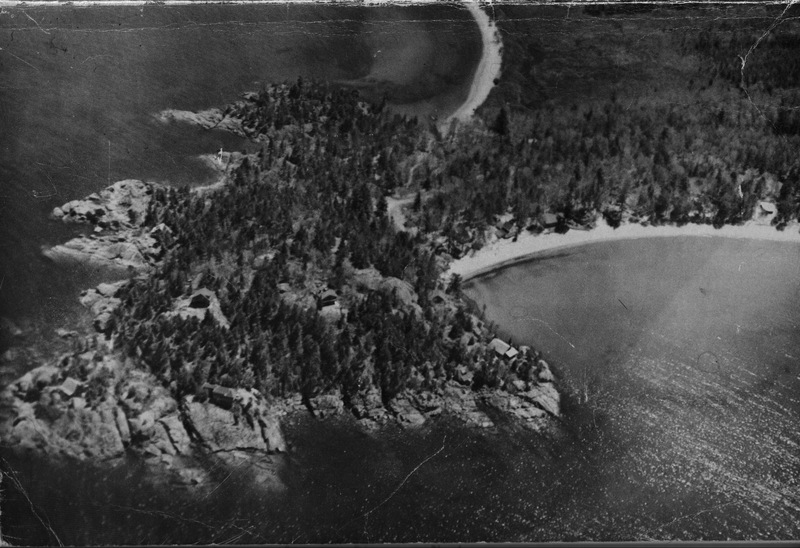 “It was a perfect day,” Ada said. “Thank you for the pwincess,” said Chad. William and Jason said nothing, but Alan mussed his cousin’s hair. “We better get home before dark or Annette will be worried,” said Bill. William thought his mother might prefer if they did not go home, but he would not argue with his father in public. Instead, he carried his and his brothers’ fishing poles to the car trunk. A sprinkle of rain started up as everyone piled into the car. “We’re going to have another storm tonight,” said Henry as the visitors drove away. “Did you boys have a good time with Aunt Ada?” Henry asked. John got ready for bed, then came out into the kitchen to get a drink of water before he went to sleep. 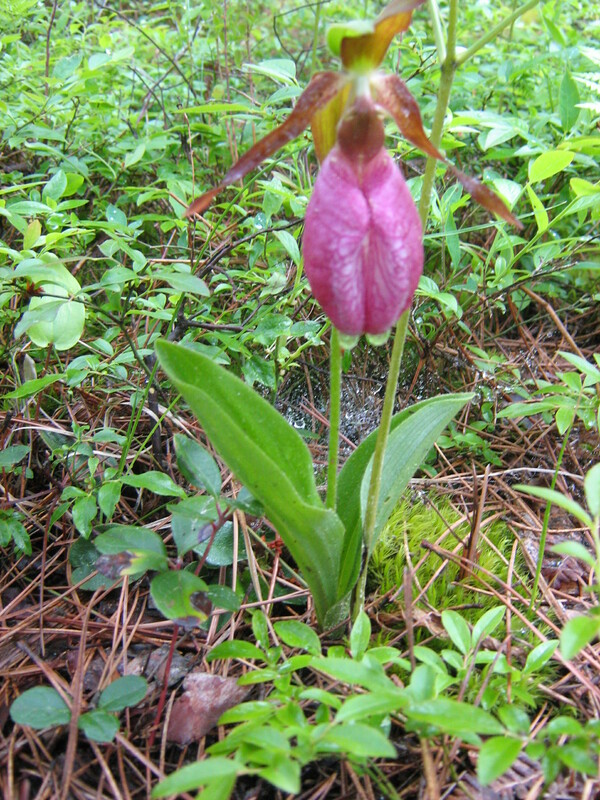 When he saw the lady’s slippers sitting on the kitchen counter, he wished he could replant them in the woods, but he knew they would not grow now. As he started to fall asleep, a loud thunderclap made him hide his head under the blankets. He was surprised Chad could sleep through the noise. He felt the thunder was a warning he had done something wrong to pick the flowers. They had been so beautiful in the forest; they were nowhere near as pretty sitting on the counter. He wanted to cry, but he felt if his older cousins knew he cried, they would think him a baby. That he refused to cry did not make him feel any less guilty. Well, it might be lilac or some shade of pink, but no one can deny the Wooden Nickel has a new look. Apparently, the building was painted late last summer but I didn’t get to that part of town until recently to see it. The Wooden Nickel's New Color! Why am I surprised by the color change? Those of you from Marquette will be surprised too. In fact, when I posted on Facebook a week ago that the Wooden Nickel was purple, I got many expressions of shock from former Yoopers who no longer live in the area. You see, the Wooden Nickel has long been known as Marquette’s biker bar, and probably the toughest bar in Marquette. Is it trying to change its image? And just what kind of image is it going for? I don’t know much about the Wooden Nickel’s history, but if anyone else does, I would love to hear about it. 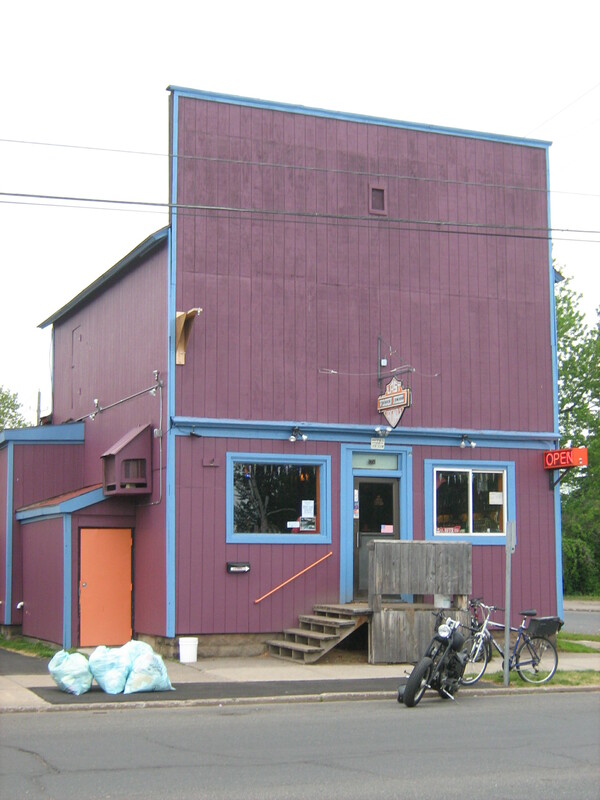 According to its website, it is the oldest bar in Marquette. It is also going to be featured in a book on Yooper Bars. I am skeptical about the “oldest bar” designation since I know Remillard’s Bar dates back to the 1800s and North Marquette wasn’t really settled until more around the 1920s. 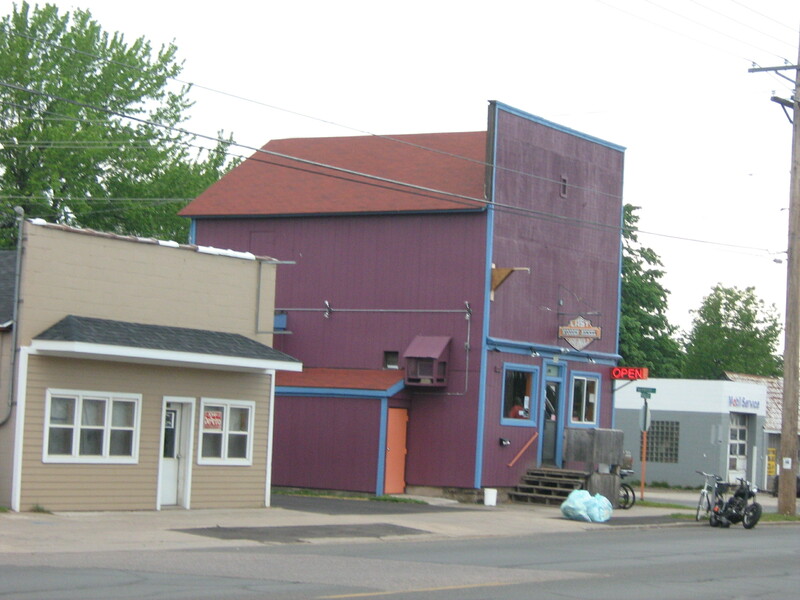 However, I am sure the bar’s sign is correct in saying it is “the only lasting original.” I asked my great-aunt who is 93 and grew up in North Marquette and she said when she was a kid, back in the 1920s the building was a candy store – maybe the purple is a fallback to those days. According to the 1950 city directory, it was Lowell’s Tavern & Restaurant (1743 Presque Isle Ave), then by 1960’s city directory it was the Furnace Tavern (1745 Presque Isle Ave), and the 1983 city directory shows it as the Wooden Nickel (1751 Presque Isle Ave). I don’t know if that means Lowell’s was really a building next door or they kept changing the street address, but it has been the Wooden Nickel ever since. (As a historical aside, it’s not easy to find taverns in the 1950 city directory. There’s no listing for “bars” and when you look up “taverns” it says to see “beer gardens.” Even then, “beer garden” must have been an outdated term. The only real beer garden I know Marquette ever had was at the old Castle Brewery. I admit I was only in it once in college about 1992 when my friends and I donned leather and jean jacket so we would look tough and only went in it to say we had been there. How the Wooden Nickel is perceived versus how tough it really is I don’t know. I do know my great-uncle, who lived a few blocks up the road, thought nothing in his seventies and early eighties of walking down to the Wooden Nickel for a beer. On the Wooden Nickel’s website it says, “We offer an enjoyable atmosphere for everyone, College Students to their Grandparents.” Will this change in perception scare off the bikers? Well, for all my Facebook friends who demanded I post a photo of the new purple Wooden Nickel, here are the photos and you can see there’s a motorcycle parked outside. Bikers must like purple too. And why not? It’s a great color. I hope some of you more familiar with the Wooden Nickel can enlighten me more on its long history. 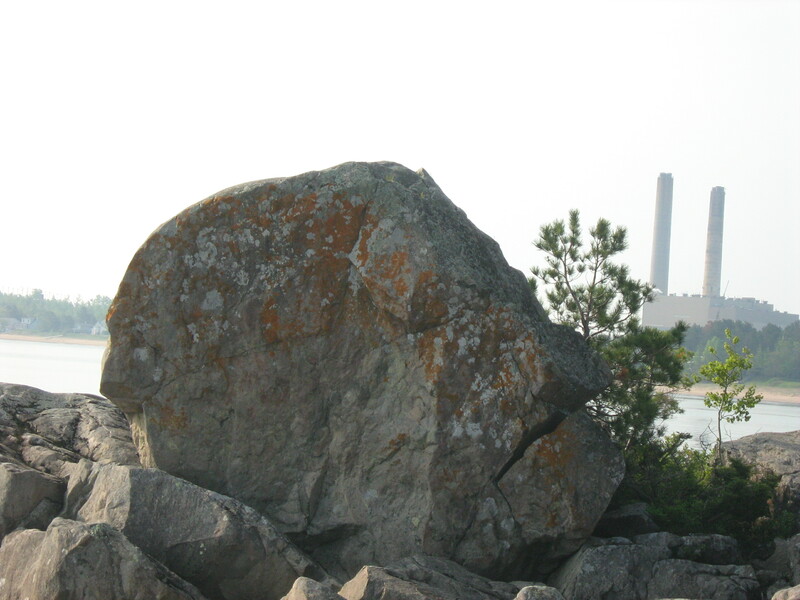 You are currently browsing the MY MARQUETTE weblog archives for June 2011.